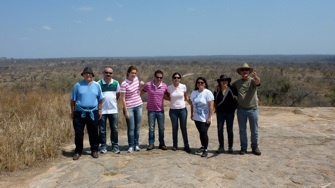 HortResearch SA offers agricultural educational tours. High density planting systems are of particular interest. Tours of most of the crops grown in South Africa are offered. Highly successful grower enterprises are visited. 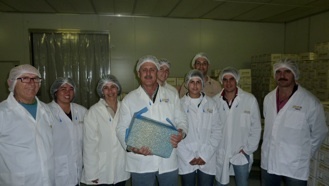 Visit to a macadamia shelling and packing plant. 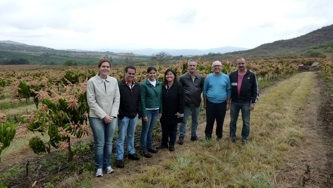 Visit by Brazilian growers to a ultra high density mango planting in Schagen near Nelspruit. 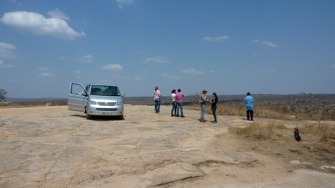 Leisure visit to the Kruger National Park. A great learning and pleasure experience. 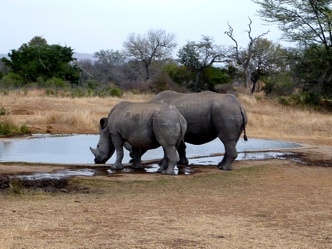 A pair of white rhinos in the Kruger National Park. Ultra hight density Tommy Atkins mango trees in flower - Schagen, Nelspruit.